If you like this free game, try Invasion: Lost In Time. Lady Archer is invited to Egypt to see the priceless treasure of King Tutankhamun by her friend Lord Carnarvon. She arrives to find her dear friend murdered and the mask of Tutankhamun stolen. She must then try to solve the murder and find the missing mask! Collect evidence, examine clues, and solve harrowing riddles as you inch closer to the truth. Can you help Lady Archer to solve this case? 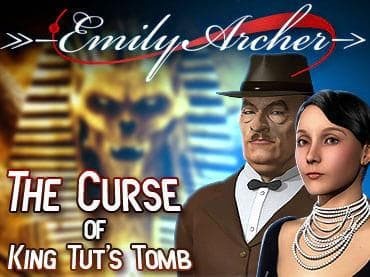 If you have questions about Emily Archer: The Curse of King Tut's Tomb game, please contact us using this form.